David Hyde Costello has worked as a scenic artist for motion pictures and the stage. David has also painted and created puppets for theatrical productions. He is the author of Here They Come! and I Can Help. David lives in Amherst, Massachusetts. Visit him online at www.davidhydecostello.com. 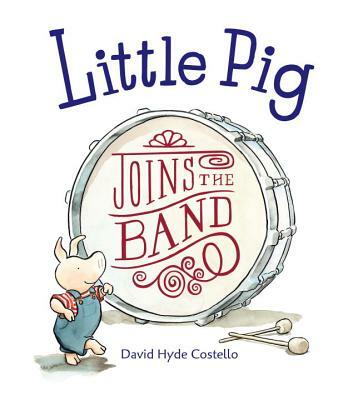 "Costello’s winsome tale explores the travails of being the youngest and the littlest." "Costello isn't pioneering new ground with this story of how a family's littlest member asserts his competence, but the combination of lovely and understated text, sly watercolors, and a protagonist who knows in his heart that he's right make the premise feel fresh and funny." "An uplifting tale with a gentle lesson about how even the smallest member of the band has something to contribute." "Young readers will likely recognize Little Pig's predicament and give his take-charge solution a big hand."